McCourty said he will continue his football career in 2019, Ben Volin of The Boston Globe reports. McCourty (concussion) was a full participant in Wednesday's practice. Analysis: McCourty did not practice last week while nursing a head injury, and has now returned in full. The starting safety appears on track to clear the league-mandated concussion protocol in time to suit up for Sunday's divisional-round tilt against the Chargers. McCourty (concussion) returned to practice Wednesday, Zack Cox of NESN.com reports. Analysis: McCourty sat out last week's sessions due to a head injury sustained Week 17 against the Jets but now retakes the practice field. He'll need to fully clear the league-mandated concussion protocol in order to suit up for Sunday's divisional-round matchup against the Chargers. McCourty played 96.3 percent of defensive snaps during the regular season and will be a notable boost for New England's secondary if he's able to play. McCourty (concussion) did not practice Thursday, Kevin Duffy of the Boston Herald reports. Analysis: McCourty now misses his second consecutive practice due to a head injury. The Patriots are on a bye and aren't required to submit an injury report at any point this week, so it's difficult to assess McCourty's recovery progress. 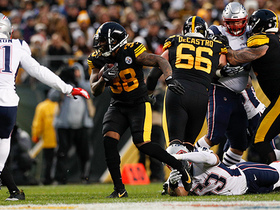 The starting safety's chances of suiting up for New England's playoff opener remain up in the air, and we likely won't discern his true availability until next week. McCourty (concussion) did not practice Wednesday, Jeff Howe of The Athletic reports. Analysis: McCourty's status for the Patriots' playoff opener remains in limbo, but there appears to be growing optimism that he'll have the chance to suit up. The extra week of rest will be a major factor in McCourty's favor, but given the nature of head injuries, it's more of a wait-and-see situation than anything else at the moment. The hope is he'll return to practice soon, but we likely won't know his game status for the divisional round for at least another week. McCourty is ruled out to return to Sunday's game against the Jets due to a head injury. 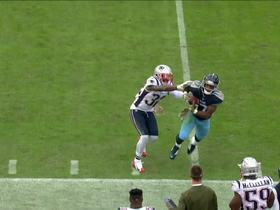 Analysis: McCourty took a blow to the helmet from teammate Malcolm Brown during the third quarter of Sunday's divisional tilt, according to Mike Reiss of ESPN.com, and will not retake the field. With McCourty sidelined, Nate Ebner will serve as New England's only healthy free safety. McCourty (undisclosed) wasn't listed on the Patriots' injury report Thursday. Analysis: McCourty received medical treatment following Sunday's game, but it appears the issue was minor. Barring a setback, he should expect to see his usual role in Sunday's Week 16 game against Buffalo. McCourty received treatment after Sunday's game for an undisclosed injury, Michael Giardi of NFL Network reports. Analysis: McCourty had another decent game Sunday, recording five tackles (three solo) on the day. It's unclear when he suffered his injury or what the specifics of the issue are. He should be considered questionable for the Week 16 game against the Bills for the time being. McCourty recorded seven tackles (five solo) in Sunday's loss to Miami. Analysis: McCourty has played nearly every one of the Patriots' defensive snaps this season. Accordingly, he played on all but one defensive snap for New England on Sunday. Through 13 games this season, he has 73 tackles, three passes defensed, an interception, a forced fumble and a fumble recovery. McCourty tallied eight tackles (six solo) in Sunday's win over the Vikings. Analysis: McCourty was on the field for all of New England's 61 defensive snaps. His eight tackles were his second most on the year and bring his season total to 66. Looking ahead, McCourty and the Patriots will take on the Dolphins in Week 14. McCourty recorded four tackles (all solo) in Sunday's 34-10 loss to the Titans. Analysis: McCourty played all but three snaps for the Patriots defense Sunday. He's had between three and five tackles in eight of the team's 10 games thus far. He's a capable safety, but he hasn't put up prolific numbers that warrant much IDP consideration in most formats. Looking ahead, McCourty and the Patriots have a Week 11 bye before taking on the Jets in Week 12. McCourty racked up six tackles (two solo), one pass defended and one interception -- which he returned for a touchdown -- during Sunday's 25-6 win over the Bills. Analysis: McCourty's interception led to a speedy 84-yard touchdown run, in which the veteran free safety easily outran Buffalo's offense. The 31-year-old has been a solid piece for New England's defense during the 2018 season but he remains mostly off the IDP radar due to a low weekly tackle volume. McCourty had 14 tackles (11 solo), a forced fumble and a fumble recovery in Thursday's win over the Colts. Analysis: McCourty was all over the place Thursday as the Colts passed the ball 59 times, with his big play coming in the third quarter as he jarred the ball loose from Jordan Wilkins and then recovered the fumble. The 31-year-old had only 12 total tackles over the last three weeks, making Thursday's effort a welcome sight. 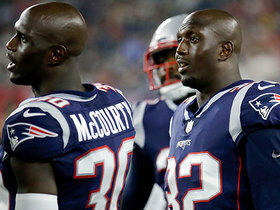 McCourty was the only Patriot to play all 83 defensive snaps, although twin brother Jason missed only a single snap. McCourty logged six total tackles and played 97 percent of New England's defensive snaps in Sunday's victory over the Texans. He also played 16 of 32 special-teams snaps. Analysis: McCourty looked healthy despite undergoing offseason shoulder surgery. The veteran should continue to serve as the Patriots' starting free safety for the foreseeable future, in addition to contributing on special teams. McCourty (shoulder) was on the practice field Friday and intercepted Danny Etling during the 11-on-11 session, the Kevin Duffy of the Boston Herald reports. Analysis: McCourty underwent a procedure in February to clean up problems with his shoulder, but it appears that issue is now behind him. The veteran safety has had a remarkably healthy career to date, missing a total of just five regular-season games since he entered the league in 2010. He should slot in as the team's starting free safety once again in 2018. McCourty underwent shoulder surgery Wednesday, Mike Reiss of ESPN.com reports. Analysis: The surgery is not believed to be anything serious. Per the report, the procedure was done as a means of absolving a nagging injury that left McCourty with some discomfort during the season. Barring any unforeseen setbacks, he'll be 100 percent well before training camp gets underway. 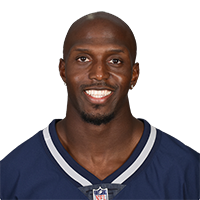 McCourty finished the 2017 regular season with a team-high 97 tackles and an interception in 16 games. Analysis: McCourty, who practiced fully Friday as the Patriots continue their prep for Super Bowl LII, is under contract with the team through the 2019 season. 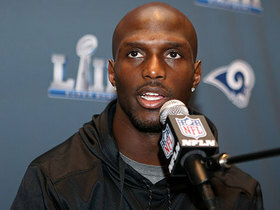 A first-rounder in 2010, McCourty is a team leader and still going strong at this stage of his career. He's poised to remain a mainstay in the New England secondary again next season. McCourty (shoulder) was a full practice participant Friday. Analysis: McCourty was a limited participant in Thursday's practice due to an undisclosed shoulder injury. However, his full availability in Friday's session puts him right back on track to play in the Super Bowl on Feb. 4. McCourty (shoulder) logged a limited practice session Thursday. Analysis: McCourty did not show up on the injury report Wednesday, but he had been dealing with a shoulder injury prior to the playoffs starting. With 10 days to go until the Super Bowl, his limited participation is more than likely precautionary. McCourty (shoulder) is listed as active for Sunday's game against the Jets. Analysis: The Patriots will have their starting free safety in Week 17 as McCourty has avoided any setbacks to his injured shoulder prior to Sunday's tilt. If the team ultimately elects to limit his snap count, however, Duron Harmon could see an increased role in New England's secondary. McCourty (shoulder) is considered questionable for the Patriots' Week 17 matchup versus the Jets. Analysis: McCourty's final status is not likely to be determined until he works out prior to the game, but the Patriots could err on the side of caution with their starting free safety in order to ensure his health heading into the playoffs. If that is the case, look for Duron Harmon to replace him in the secondary. McCourty led the Patriots with seven tackles (all solo) and a sack in Monday's loss to the Dolphins. Analysis: The sack is McCourty's first of the season, as the Patriots defense was consistently unable to slow down a typically-pedestrian Dolphins offense. New England has a daunting task in Week 15 as they head to Pittsburgh to try and contain Le'Veon Bell and Antonio Brown. 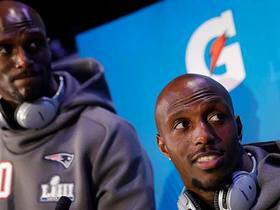 New England Patriots safety Devin McCourty and his twin brother, cornerback Jason McCourty, test how well they know one another. New England Patriots safety Devin McCourty shares the best and worst parts of playing on the same team with his brother, cornerback Jason McCourty. 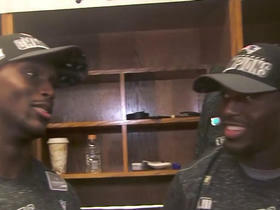 NFL Network's Mike Giardi catches up with twin brothers and New England Patriots defensive backs Devin and Jason McCourty to talk about winning the AFC Championship Game together. 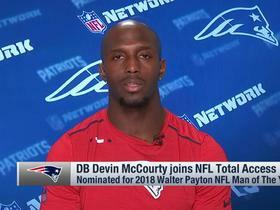 Walter Payton Man of the Year nominee Devin McCourty talks New England Patriots goals for 2018. 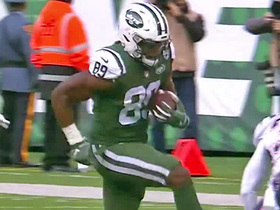 Tennessee Titans wide receiver Cameron Batson makes a toe-tapping catch for a 26-yard gain.